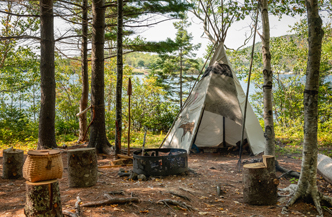 Discover authentic Mi’kmaq culture along our picturesque 2.4 KM trail on Goat Island in Eskasoni. The island hugs the beautiful Bras d’Or Lake, a UNESCO Biosphere Reserve. 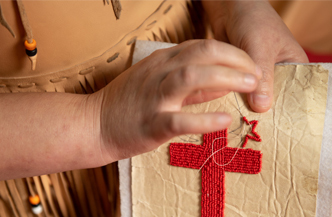 You will be guided along the trail by one of our Mi’kmaq cultural interpreters who will take you to visit several villages, each one offering a unique experience to learn and partake in this way of life. 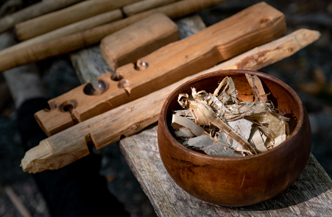 Learn about hunting and fishing techniques. Top this all off with a traditional snack of luskinigan and tea! Off site presentations $400.00 plus travel / Customized packages and events upon request / Call us for school group tours!